Bobby Lee Townsend is a 12 year old Mississippi country boy whose biggest worries are his siblings and the sting of his father’s belt. When he starts having agonizing headaches, he finds that he has developed extraordinary special abilities. Soon, a series of tragic and devastating events lead Ashalon to a mysterious extraterrestrial heritage that makes him a target for an alien race far across the galaxy. One of the best aspects of Ashalon (written by Rob Ussery) is its title character. He is a young Black boy that kids can look up to, someone with great morals. He doesn’t feel anyone should be cheated and that everyone should be treated equally. He is also a hero that strives to use his powers to help others. Sometimes, he is a bit too perfect, but at least he is someone to care about. Ashalon’s goodness is juxtaposed against by the book’s main antagonist, Saldara. Saldara is the ruler of the Nycotian alien race and is emotionally manipulative, calculating, and cruel. Hiding her evil nature beneath a mask of the benevolent ruler, she is a force to be reckoned with and a great challenge for Ashalon physically and emotionally. Besides Ashalon and Saldara, one other compelling character is Kaleia. Despite being a minor character, her circumstances as a lower class Nycotian female communications worker makes her relatable to any working class woman in a male dominated field. Although she could’ve used more action scenes, her transformation into a Nycotian rebel is done well. In addition to the characters, the special abilities that Ashalon and possesses will impress superhero fans. 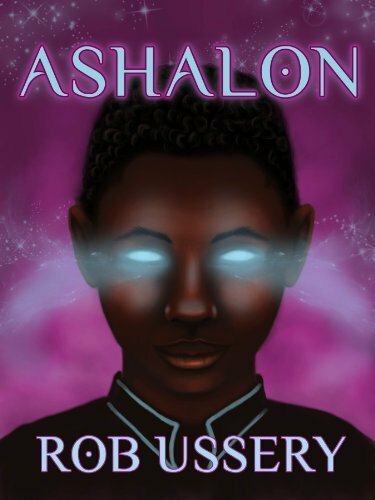 Ashalon’s abilities include energy wave generation, flight, super strength, telekinesis, instant healing, and a nearly impenetrable energy field. Even more impressive is that these abilities are a part of biogentically advanced technology that has an interesting backstory. Unfortunately, the backstory of the special abilities are the most interesting part of the book’s world building. The rest of it is tied to a cast of characters that are hard to keep track of, especially since the book is told from multiple character viewpoints from the second part of the book onward. As a result, much of the worldbuilding is a bit overwhelming except where science and social class issues are concerned. Despite the world building flaws and a crowded cast of characters, Ashalon managed to be an interesting and fun adventure. This is a great start to a thrilling sci-fi series and any kid will love it. With a smaller cast and more organized world building, Ashalon’s future adventures could be even better.